Over the last few weeks we have seen Roebuck Bay slowly empty as the shorebirds head north to breed. There are still several thousand shorebirds here throughout the year, but not the huge numbers we have had for the last 7 months. Not all shorebirds migrate, so we will see some of our resident shorebirds breed in the coming months. Red-capped Plovers and Pied Oystercatchers will soon be investing time and energy into breeding along our coastline. We have not only had the birds migrating over the last few weeks, but we have had some rather large tides and this pushes shorebirds out onto the plains to roost due to the lack of beach left available at high tide. 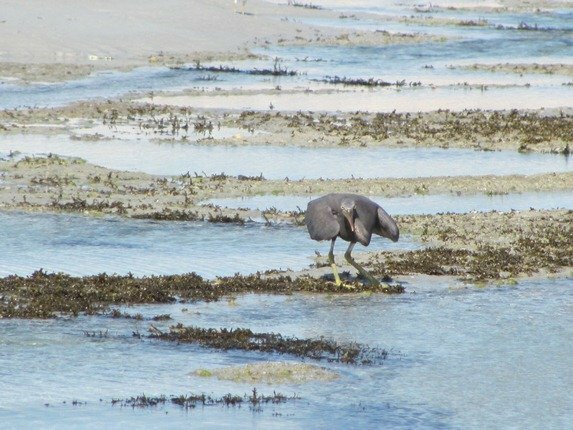 One advantage of a very high tide is that it is then followed by a very low tide and you can expand your interests to the food on the reef that the shorebirds rely on so much. As the tide drops the birds fly out to determine if the water is shallow enough to feed on. I will start with the end! 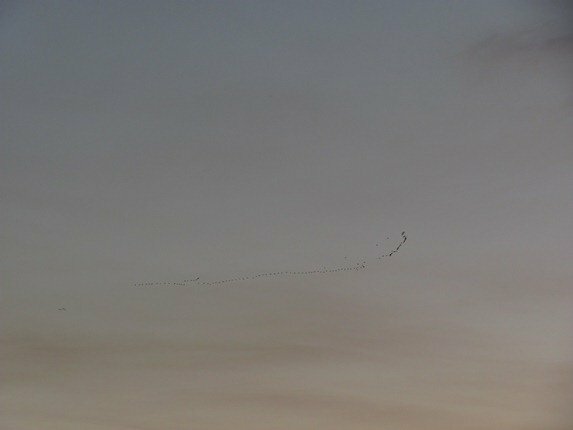 This was the end of a walk on sunset when we were lucky enough to see migration last month. 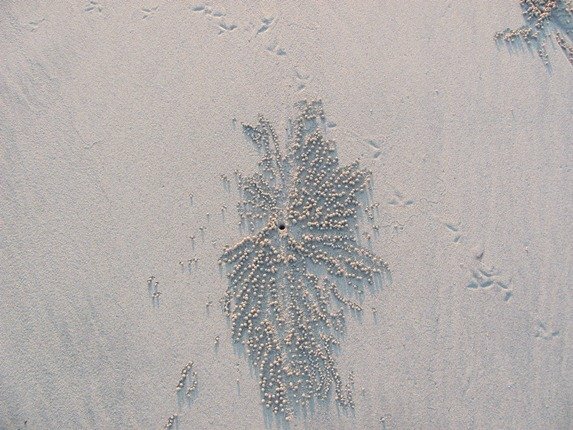 As you walk along the beach there are plenty of prints and the ghost crabs are always busy as the tide recedes. Amongst their prints you will discover Red-capped Plover prints and they are rapidly running around the rocks looking for food. They will soon be breeding along our coast. 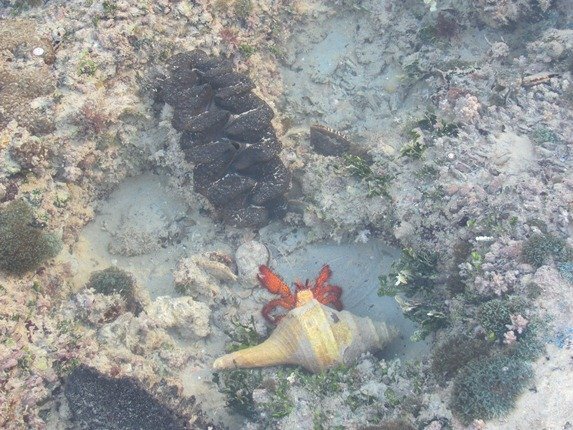 We usually walk up the beach and let the tide drop further and then spend our return trip exploring the reef. 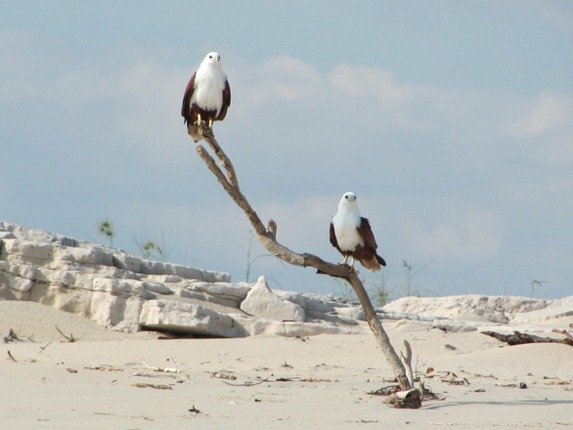 We had a pair of Brahminy Kites positioned rather nicely on beach debris as they considered their next fishing trip out onto the reef. They are extremely good at flying low and collecting fish from just below the surface, but the shorebirds still feel threatened by them and they do sometimes take them. It doesn’t take long and the Eastern Reef Egrets are stalking any prey alongside all of the rock pools and they shape their wings to cause a shadow. This encourages the small fish to seek shelter below the shadow and the bird then pounces on the fish. 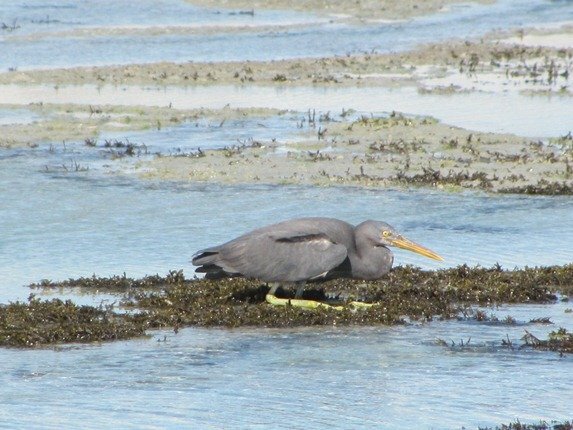 We have both the white and grey morph of Eastern Reef Egret in Broome, but the grey is more common. 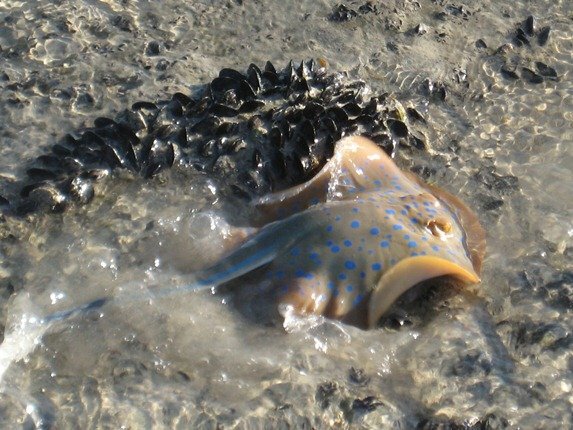 There are too many creatures to share at once, but we had a lagoon ray almost literally fly out from under our feet as we walked across the shallow waters and onto the reef. 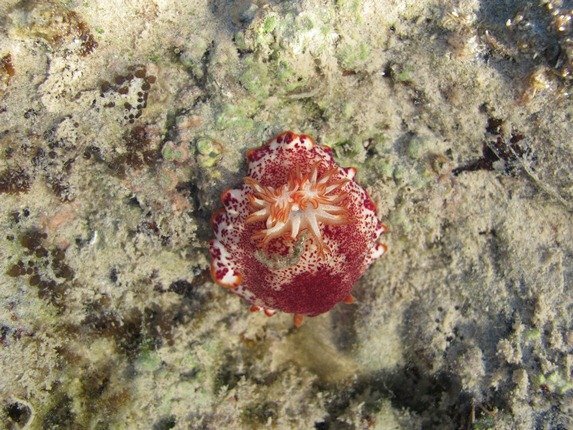 The pools contain some beautiful corals, sponges, clams and other bizarre creatures. 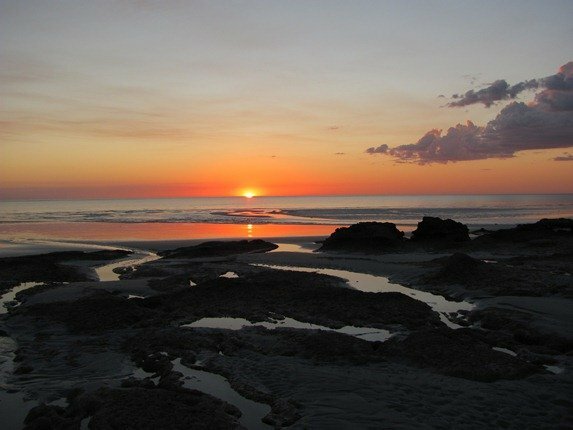 We may have lost thousands of shorebirds to the northern hemisphere, but there is still plenty to observe around Broome. Soon we will have our own baby shorebirds and the water that was deposited during our Wet Season will start to evaporate and concentrate birds in smaller areas. Our wide expanses of water will soon become smaller and the ducks will return! 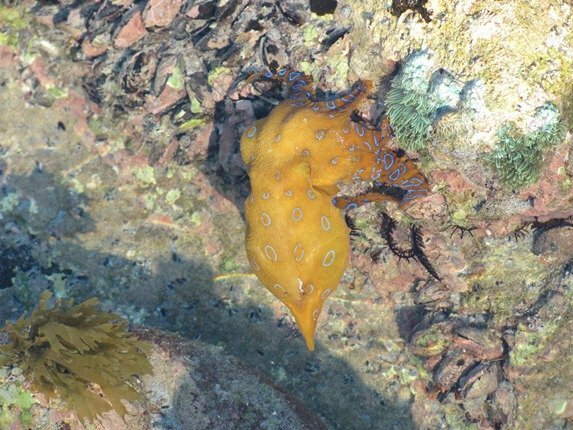 Hey Clare – your mystery creature is a nudibranch. It looks a bit like the species Chromodoris tinctoria. That’s a great shot of the bluespotted ray! What gorgeous photos, Clare! I feel like I took that walk myself. 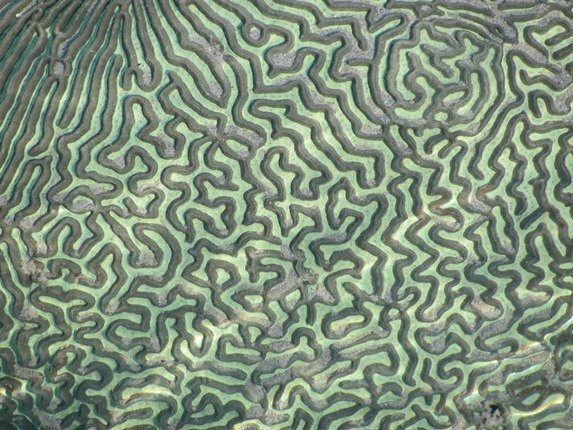 The Brahminy Kites and Brain Coral are stunning photos. Great post!